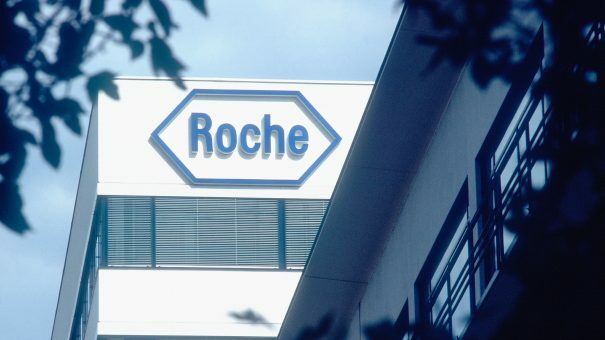 A double trial success from Roche sees it eyeing a combination therapy in lucrative first-line lung cancer, and wider use of its just-approved haemophilia drug, Hemlibra. Roche said top-line results from the phase 3 Impower 150 study of an immunotherapy combination therapy showed that it met its first goal of progression-free survival and reducing risk of disease worsening or death in first-line lung cancer. The study was testing a combination of Roche’s new immunotherapy Tecentriq (atezolizumab), Avastin (bevacizumab), plus paclitaxel and carboplatin chemotherapy, compared with Avastin plus chemo in people with advanced non-squamous non-small cell lung cancer. While data is not yet fully mature, Roche said initial observations of the trial’s other endpoint, overall survival, are encouraging. The safety of the combination was “consistent with the known safety profile of the individual medicines”, and there no new safety signals, said Roche. Therefore the Swiss company is planning to file the combination therapy with FDA, European Medicines Agency and other regulators in a bid to get It approved in this highly lucrative indication. This is bad news for Merck & Co, which last month pulled a filing for its combination of immunotherapy Keytruda (pembrolizumab) and chemotherapy in first-line lung cancer in Europe. Combining immunotherapy with chemotherapy means a wider section of the population can be treated, instead of those expressing the receptor PD-L1 mutation as is the case with a single checkpoint inhibitor agent. Tecentriq is already approved in combination with chemotherapy by the FDA in first line lung cancer regardless of PD-L1 status, but Roche hopes adding Avastin to the cocktail will further improve results. While Merck got the Keytruda combination approved in the US, Roche will be able to exploit the gap in the European market, at least until the US firm gets better data that will satisfy European regulators. Roche also announced the phase 3 HAVEN 3 study of haemophilia drug Hemlibra, in adults and adolescents aged over 12 with haemophilia without inhibitors to factor VIII met its primary endpoint. Already approved by the FDA in patients who have developed factor VIII inhibitors, the latest results could lead to regulatory approval in all haemophilia A patients regardless of whether they have inhibitors. Roche said it will share the results with regulators in order to get approval for Hemlibra across the entire haemophilia A population – making it a strong competitor to already-approved therapies from the likes of Shire and Novo Nordisk. The study met its primary endpoint, showing a statistically significant and clinically meaningful reduction in the number of treated bleeds over time in people receiving Hemlibra prophylaxis every week compared to those receiving no prophylaxis. It also met key secondary endpoints, including a statistically significant and clinically meaningful reduction in the number of treated bleeds over time with Hemlibra prophylaxis dosed every two weeks compared to no prophylaxis. Once-weekly Hemlibra prophylaxis was superior to factor VIII prophylaxis, as demonstrated by a statistically significant and clinically meaningful reduction in treated bleeds in an intra-patient comparison of patients receiving Hemlibra prophylaxis compared to their prior factor VIII prophylaxis. The most common adverse events with Hemlibra were injection site reactions, with no new safety signals observed. It also appears that the safety issues that occurred in patients with inhibitors were not present, as no thrombotic microangiopathy or thrombotic events occurred in this study.